Last week I was at a blogging conference and instead of wearing my usual flip flops, I wore heels and sandals. Boy, were my feet were tired and achy! 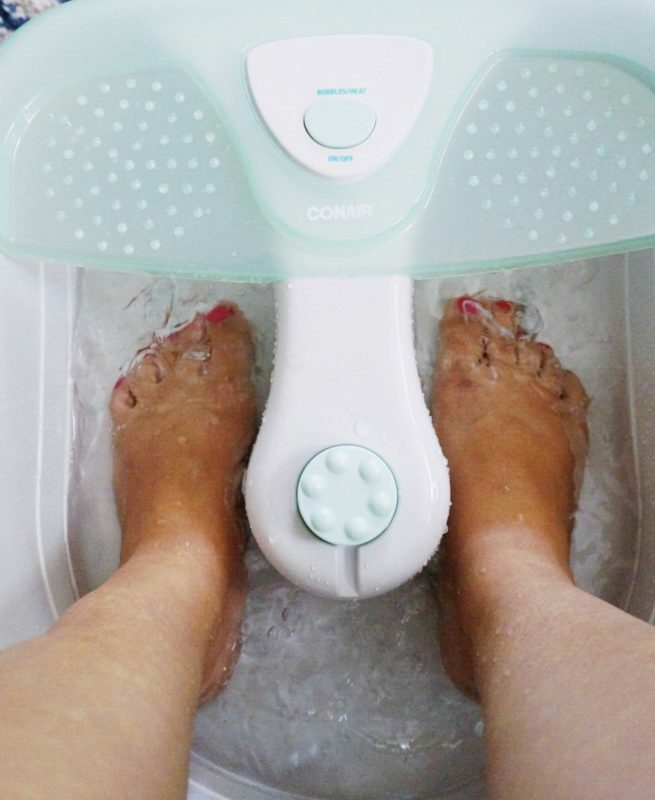 Conair was generous enough to send me one of their Foot Spas to use and it was such a treat for my feet!! 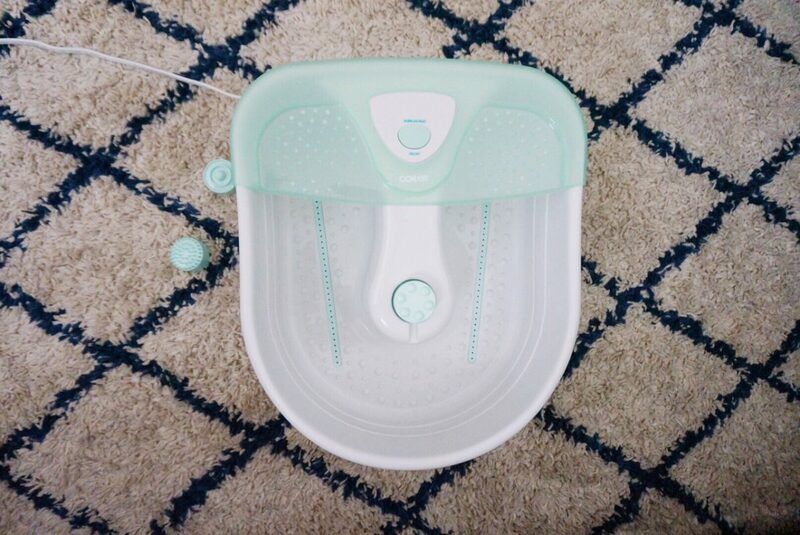 It was so timely that I was able to use the Foot Spa- my feet felt so pampered after experiencing the heat, bubbles and foot massage feature for 15 minutes! There’s one touchpad to control the bubbles and heat so it’s simple to use! There are two bubble strips at the bottom of the bath which produce just the right amount of bubbles. 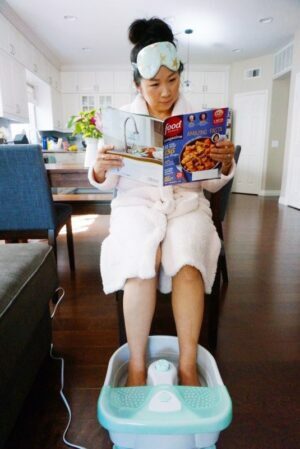 It comes with 3 massage attachments so you can choose the type of massage you want for the bottom of your achy feet! The bath is nonslip so it’s safe and you don’t have to worry about your feet slipping. It has an attractive translucent splash guard with massage nodes. Guess what?!? Conair is having a 20% off sale on all their health and wellness appliances with code MOM2018 until 5/14/18! 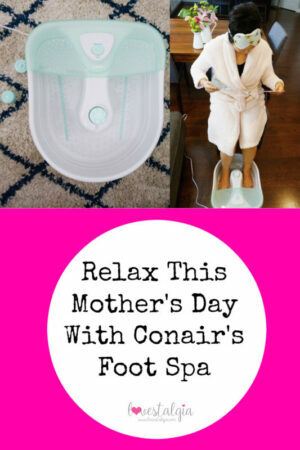 You can pick up a Conair’s Foot Spa for yourself or for someone else who needs some pampering!! Happy Mother’s Day and I hope you get to relax this weekend! This post was sponsored by Conair but all thoughts and opinions are my own.